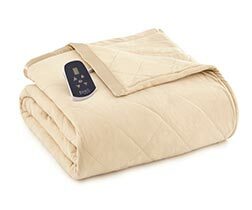 Our tan chino Micro Flannel® heated electric blanket combines the soft comfort of a goes-with-anything neutral color with the best classic, sophisticated quilted style. Settle in for a toasty, cuddly night’s sleep by preheating your bed with our silk-trimmed chino Micro Flannel® heated electric blanket. You’ll enjoy how this luxurious blanket in soft, neutral tan goes with the décor of just about every room in your house – and you’ll love that our quilted electric blankets are machine washable, bulk-free, lightweight, and breathable. 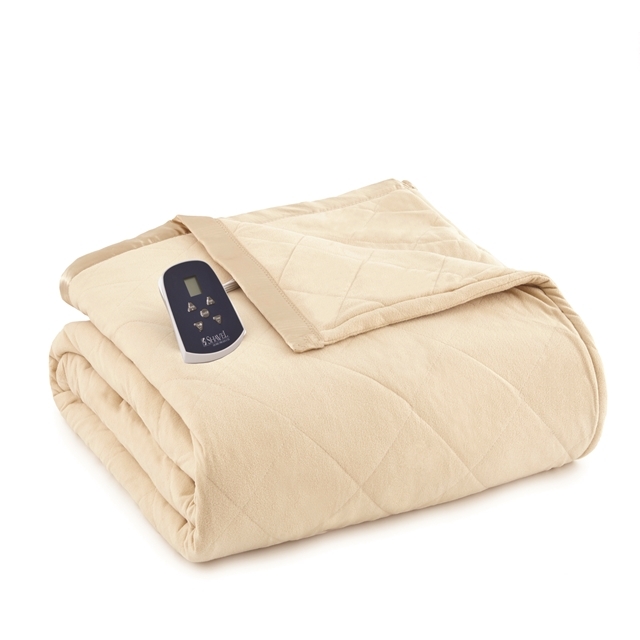 Our heated electric blanket provides superior warmth thanks to our patented 7 Layers of Warmth™, featuring Micro Flannel®, down alternative fill, specially-crafted electrical cloth, and a quilted layer of heating elements.